I love baobuns. I first tried them at Wagamama and fell in love. 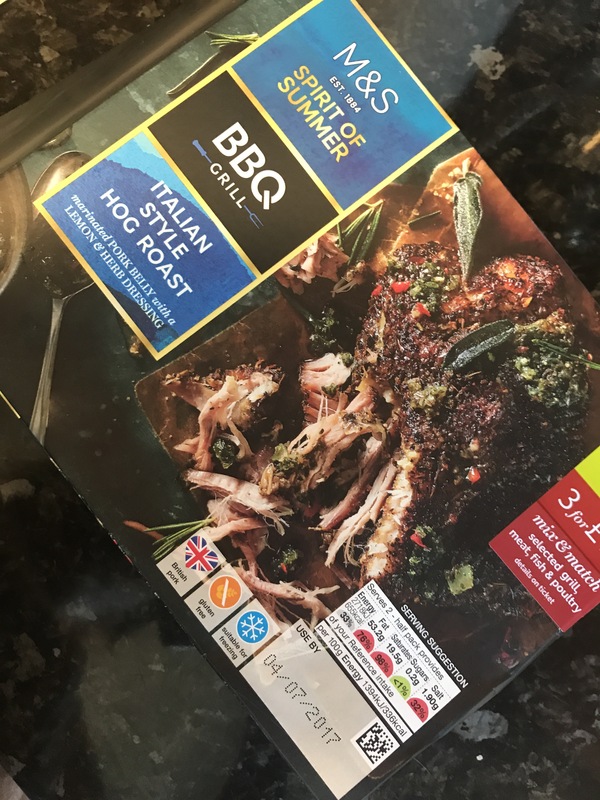 They taste perfect with a bit of pork…. mmm my mouth is watering just thinking about them. I thought I would try them out. For the first attempt it was okay but if anyone has tips please free to comment. 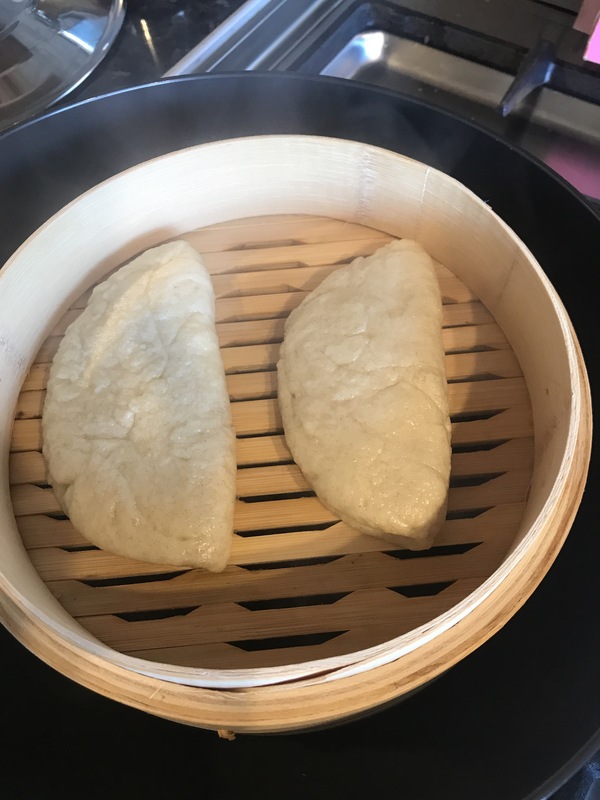 I used https://www.bbcgoodfood.com/recipes/steamed-bao-buns to make them. Mix together the flour, sugar and 1/2 tsp salt in a large bowl (see tip). Dissolve the yeast and a pinch of salt in 1 tbsp warm water, then add it to the flour with the milk, oil, vinegar and 200ml water. 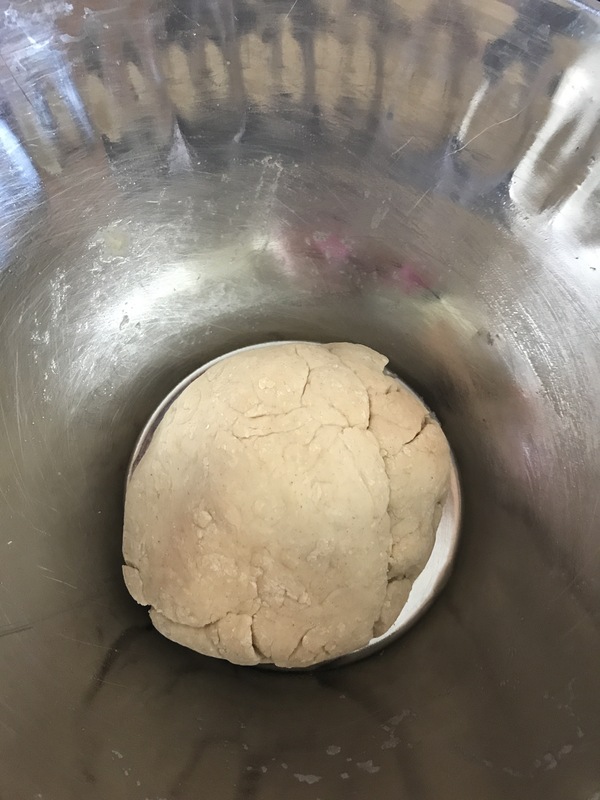 Mix into a dough, adding a little extra water if needed. Tip the dough onto a lightly floured work surface and knead for 10-15 mins, or until smooth. 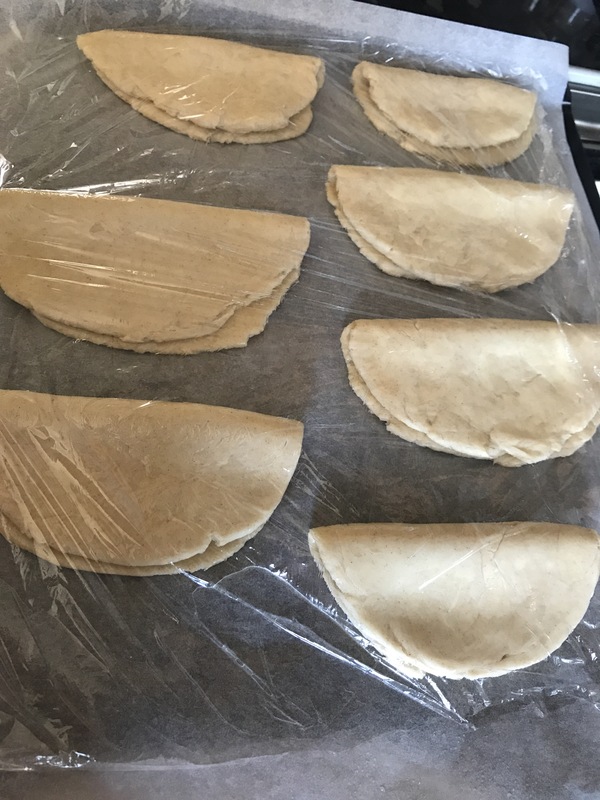 ( **I just kneaded it in the bowl) Place in a lightly oiled bowl, cover with a damp cloth and leave to rise for 2 hrs, or until doubled in size. 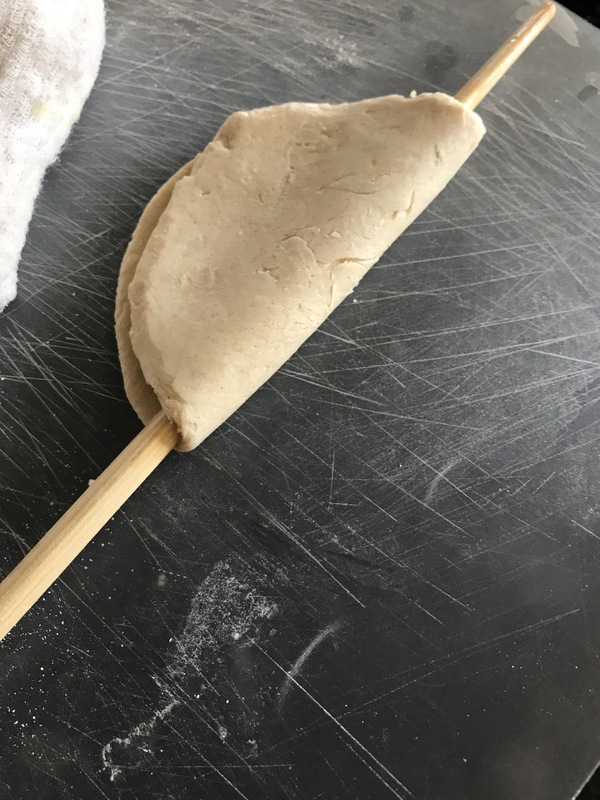 Tip the dough out onto a clean work surface and punch it down. Flatten the dough with your hands, then sprinkle over the baking powder and knead for 5 mins. 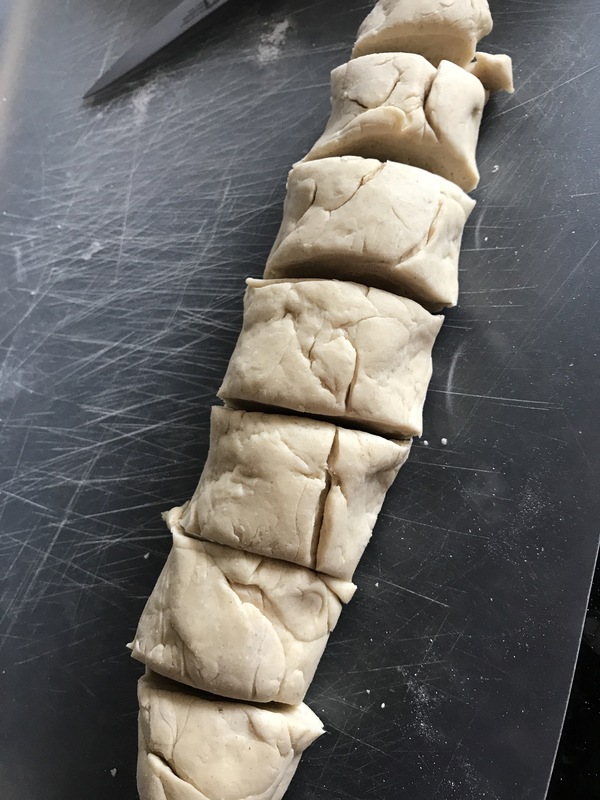 Transfer the prepared buns to a baking tray lined with baking parchment, cover with a clean tea towel or lightly oiled cling film and leave to prove in a warm place for 1 hr 30 mins, or until doubled in size. Heat a large steamer over a medium-high heat. Steam the buns for 8 mins until puffed up (you’ll need to do this in batches). 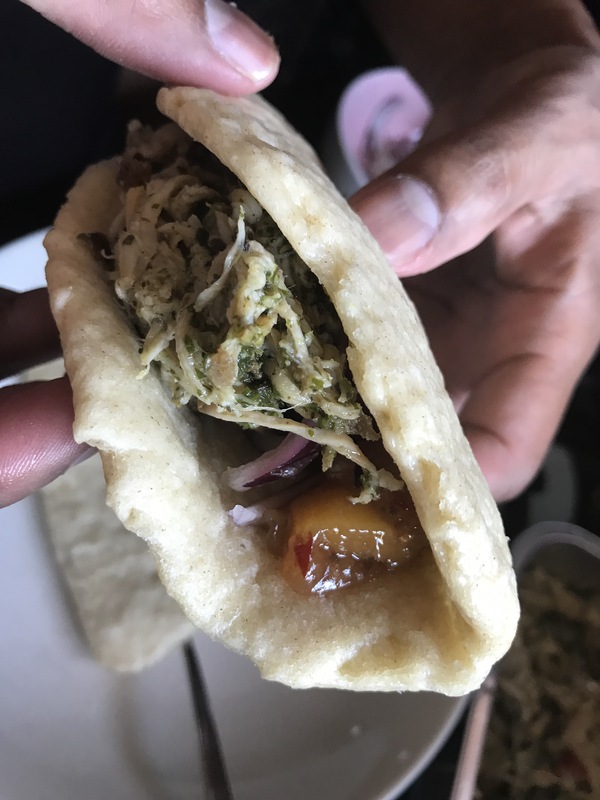 Eat while they’re still warm. 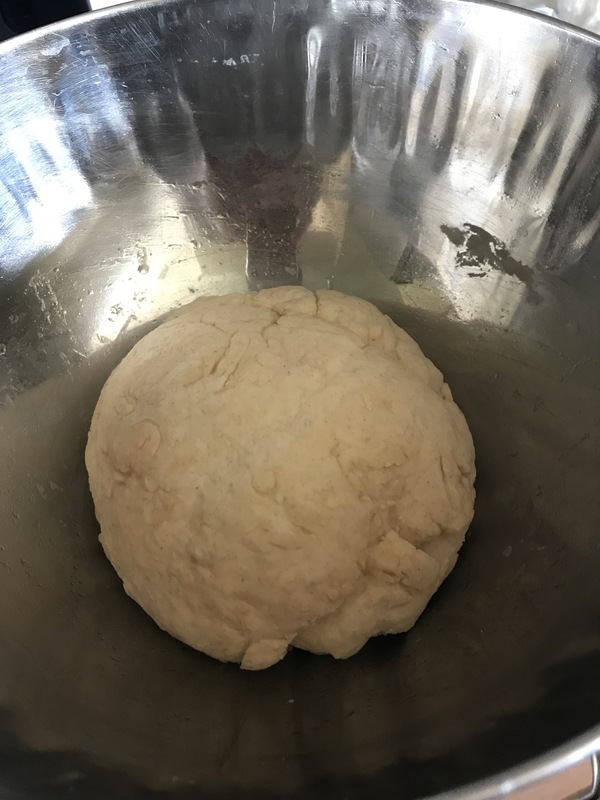 The dough rose well however there is a lot of waiting around in making these buns so be patient. The dough was tough and not that easy to work with. It never turned out smooth nor did it have a soft doughy texture when needed it ( I didn’t realise it was meant to be like this until I watched a video after). They turned out ok for a first attempt. Reading up on bao buns I think next time I will use a Chinese recipe. 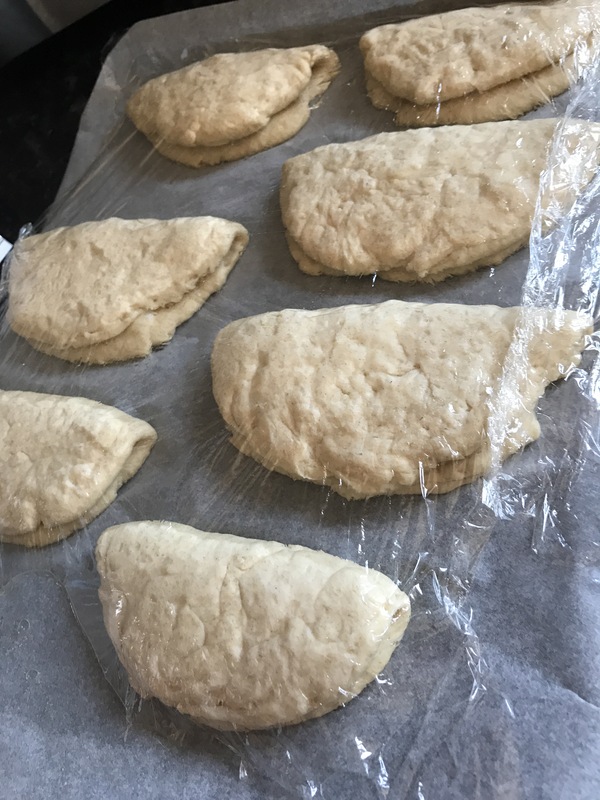 I don’t mind them not being white – it was the fluffiness I was after and I didn’t quite get it with this recipe. I added some red onions in balsamic to go with the pork. 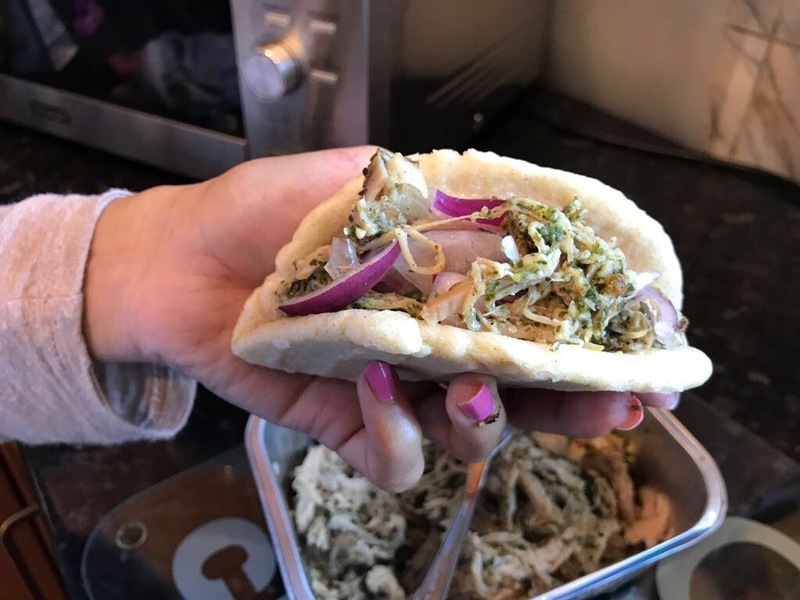 As you can see they are more like pitta breads rather than bao buns.